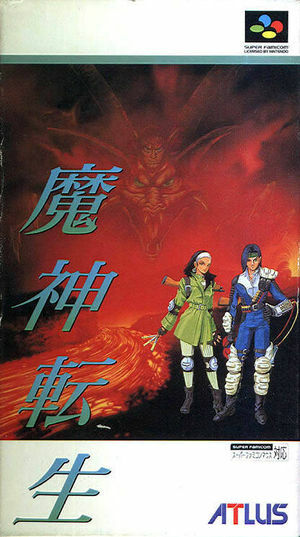 Majin Tensei (魔神転生, literally "Demon God Reincarnation") is a turn-based strategy spinoff game of the Megami Tensei series. Majin Tensei takes place in a modern Japanese city, and features tactical RPG styled battles. Battles start with a top-down perspective and enter first-person when actual combat begins, similar to other Megami Tensei games. The player is allowed to recruit demons and use them to battle with, but Magnetite, the game's money, depletes with each use. Therefore, it becomes necessary to finish battles quickly and to not overuse demons. Players also have the ability to fuse demons to create stronger ones. The graph below charts the compatibility with Majin Tensei since Dolphin's 2.0 release, listing revisions only where a compatibility change occurred. This page was last edited on 13 December 2017, at 05:18.